Clarisonic’s patented sonic technology works with skin’s natural elasticity to gently remove the impurities traditional methods leave behind-cleansing 6X better than your hands alone. In just 60 seconds, the sonic action removes impurities from pores so creams, serums and moisturizers absorb better. 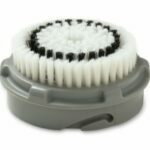 And with regular daily use you’ll notice a reduction in dry patches, oily areas and blemishes. Cleaner skin is healthier skin and healthier skin is more radiant and more beautiful. 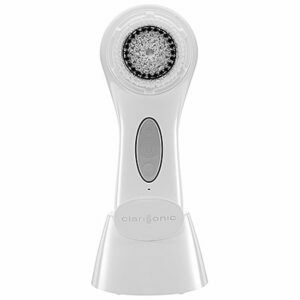 Clarisonic Aria infuses sonic cleansing with a harmonic blend of function and form. Sleek, modern, intuitive, Aria sings with 3 speeds, a real-time, battery-life indicator, USB enabled pLink charger and a drying stand that converts to a charging station when coupled with the pLink charger.